If you’re gearing up for April’s Hike it Baby 30 Challenge or taking it up a notch with the unique HiB30 “Take it Outside Challenge,” get some extra motivation with books! Reading these stories with your children and talking about the challenge before it officially begins is a great way to get little ones excited and outside this spring. 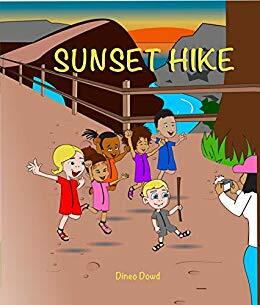 Sunset Hike tells the story of an apprehensive little hiker and the encouragement she receives from friends as the group takes on a hike with a goal in mind: to see the sunset. Through a story, the book covers gear needed (headlamps are helpful when the sun goes down), good rules for hiking (red means stop, green means go and stay together), and how to handle when children want to stop (reading stories on trail or singing songs are helpful tips). The group eventually makes it to see a beautiful sunset, but more importantly, it shows kids how to handle challenges on trail like being afraid of snakes or the fear of getting lost. Most kids can relate to this, so hearing about it in the story lets them know that they are not alone and shows them that working together can help them reach goals and face their fears. Sunset Hike is vibrantly illustrated and celebrates hikers of all ages, cultures and experience levels. This is the second book written by Hike it Baby mom Dineo Dowd. Her first book, Adventure Day, is currently available. Sunset Hike will be released April 1, 2019, and can also be purchased for Kindle. 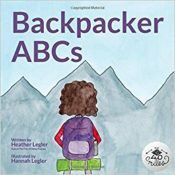 Backpacker ABCs is a great way to introduce your young ones to adventures in backpacking, and it encourages them to “Hike your own hike.” Whether or not you want to backpack with young children, this book is a great way to introduce this adventure to your child. From packing up the car to a quote from John Muir, this book will show young hikers all the beauty that a backpacking trip can offer. Filled with beautiful illustrations and rhyme, Backpacker ABCs makes an excellent read aloud for children from birth through preschool and beyond. Also available is a Backpacker ABCs coloring book. Find a picnic table, color and then head out on a hike to see what you can find that you just colored. Another option is to stop on the hike and color in objects as you find them. 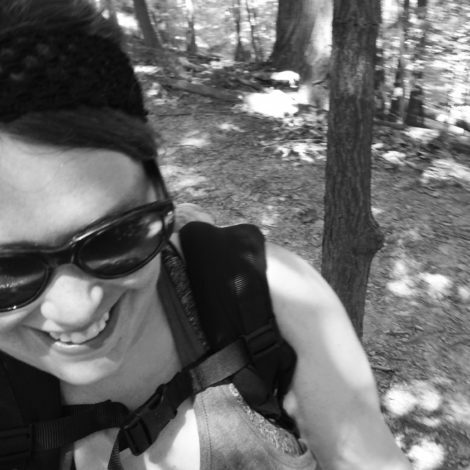 Author Heather Legler is also the host of The First 40 Miles, a podcast especially for those new to backpacking. 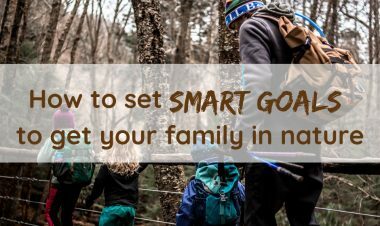 While it may be easier to get younger kids on trail when they can be carried or put in a stroller, you may need some extra motivation getting your older kids out on a hike. 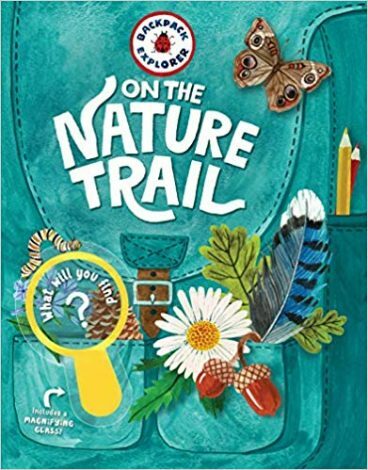 Written for ages 4-8, On the Nature Trail takes a look at what you can find at a nature center, in an urban setting or in a suburban backyard. With all of the options, it will be easy to get kids to Take it Outside during this challenge! Activities, a checklist of what to look for, stickers, a magnifying glass and more accompany this book, encouraging hands-on exploration before even leaving the house! Guides also show different types of trees and birds you’ll see outside, so make it a competition and see who can find the most nature on a hike! 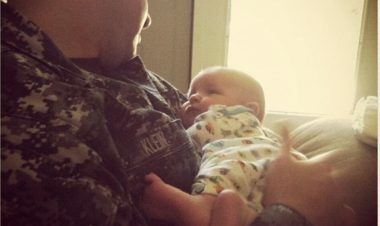 Hike it Baby now has a Goodreads Group! Join today and add books to our bookshelf! Looking for more member reviews? Search our blog for other Book Review posts! 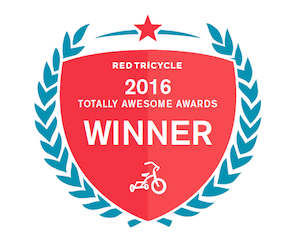 Submit your review here for a chance to be included in an upcoming blog post! Inspiration, Off Trail Book Reviews, children book reviews, take it outside. permalink.